Why did the news agency move so fast to publicise alleged denials by some senior signatories? Emails prove there was no forgery. 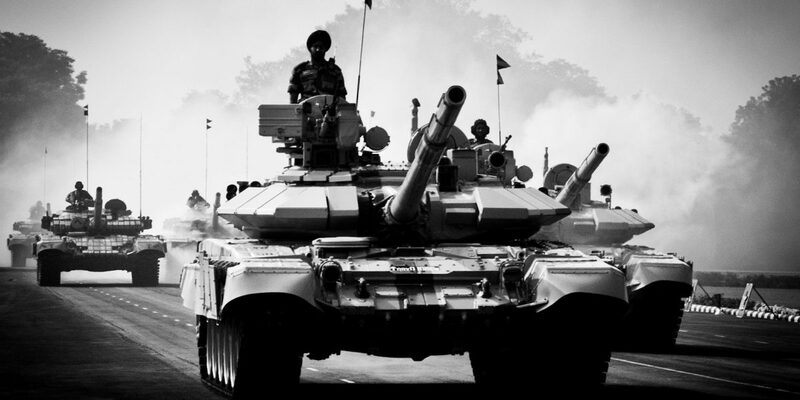 New Delhi: An appeal by armed forces veterans to the president of India – which the government and news agencies moved swiftly to discredit – involved neither forgery nor false claims, The Wire can confirm. On behalf of The Wire, a senior journalist in Mysuru personally examined the inbox of Major General Sudhir Vombatkere (who had collated the emailed endorsements from the other signatories) and confirms that he received emails from the accounts of General S.F. Rodrigues and Air Chief Marshal N.C. Suri, explicitly endorsing the appeal to the president. On the night of Thursday, April 11, a letter signed by 150 retired officers was emailed to the President of India and Supreme Commander of the Indian Armed Forces, Ram Nath Kovind. It registered their protest against the ‘completely unacceptable practice of political leaders taking credit for military operations like cross-border strikes’. On the morning of Friday, April 12, however, news agency ANI moved swiftly to locate senior signatories, and published their alleged denial of having endorsed the letter. ANI quoted former army chief, General S.F. Rodrigues, as saying “Don’t know what it (purported letter written by armed forces veterans to Pres) is all about.”. The agency claimed that he “denies signing it”. ANI claimed to have a similar denial from Air Chief Marshal N.C. Suri and Former Army Vice Chief Lt General ML Naidu, also among the senior-most signatories. These alleged denials allowed minister of defence Nirmala Sitharaman to deflect the message of the veterans’ appeal. Speaking to the press on April 12 afternoon, she focused exclusively on the alleged denials, and condemned “fake letters – fake allegations are being signed by some vested interest groups”. The veterans who had organised the petition declined to counter the retired chiefs’ denials, apparently out of respect for them, and were heavily trolled online. It is not my place to comment about seniors whom I respect. Air Chief Marshal N.C. Suri’s endorsement. “I endorse the appeal to the Supreme Commander. General Dr S Rodrigues (Retd)”. Despite this simple, easily examined proof that the organisers did indeed receive emails of endorsement from both chiefs, ANI disseminated the claim that the officers had not actually endorsed the appeal, within hours of the letter appearing in the press. ANI did not state whether it had approached the veterans who organised the petition for their version of events. The organisers denied that they had heard from the news agency. 1. What was their source for the information that these two senior officers would ‘deny’ endorsing the appeal? 2. Did they attempt to contact the veterans who organised the petition, and ask for this obvious proof that the endorsements were received? If not, why not? 3. Did they release the full video or transcript of their interviews with Rodrigues, Suri and Naidu, or only heavily edited versions? Indeed, ANI’s national security editor, Ajit Kumar Dubey, who had obtained the alleged denials from the senior officers, tweeted on April 13, personally accusing the other veterans of “indulging in #fake #letter writing”. Just want to ask the defence officers indulging in #fake #letter writing that why didn’t they outrage when #ColPurohit was tortured by politicians and #TSD officers hounded for working against #Pakistan . It is they who are politicising armed forces. The rest of Dubey’s Twitter timeline is heavily populated with RTs of BJP members, BJP fan-artists, and the account of the Gorakhnath Mandir. His header photo is an image of him shaking hands with Prime Minister Narendra Modi. Meanwhile, other officers have continued to add their names to the appeal, asking the Supreme Commander to ensure that the armed forces are not dragged into political electioneering.